BS200: with 4 kinds of Baskets.Max. 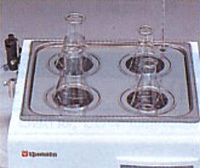 5LBeaker can be set by removing Lid. 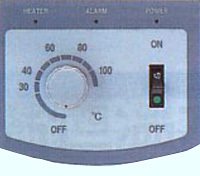 BS600: Can use 6pcs. ofCondenserssimultaneously. 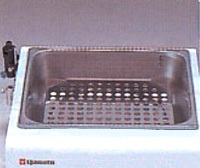 BS400: Can use 4pcs. ofCondenserssimultaneously. BS660: Can use 6pcs. 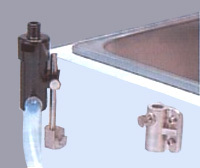 of Big/SmallContainerand can adjust the sink level. Time to Reach to Constant Max.Temp. Details : DistributionPipe,2pcs., Connector, 2pcs x 2 sets. 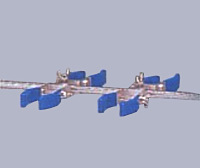 This can distribute Tap Waterto4pcs. of Condensers.